N ew York City pulsates with noise and energy and entropy, a whirlwind of commotion that—as Carol Shen, owner of two Shen Boutiques in NYC’s Upper East Side, knows firsthand after nearly 30 years in business there—can be exhausting. That’s one reason why Shen decided to look north and east to New Haven, not south to SoHo, for opening her eponymous shop’s third location. Madison Avenue. Lexington Avenue. Chapel Street. 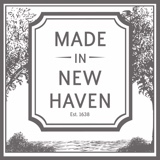 As New Haven continues its evolution from ‘a place between New York and Boston’ to a world-class destination for food, fashion, arts and entertainment, interesting commercial ventures flock to the city for the charms new visitors are often all too surprised to discover. 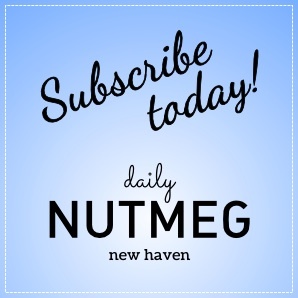 During trips here, Shen found herself marveling at the stunning architecture downtown and sampling everything on the menu when stopping in for dinner at New Haven’s well-regarded restaurants. Now that her boutique has been open for roughly five months, Shen has had a lot more time to sample everything the city offers, and her store brings her right into the thick of things. Located just across from the recently renovated Yale University Art Gallery on Chapel, Shen New Haven neatly complements its owner’s penchant for minimalism and clean, simple lines and silhouettes. Like the clothes themselves, Ms. Shen’s shyness is striking. Even after developing a cult following for her seamless lingerie and easy, fluid cardigans and tanks, she’s as modest as her success and reputation are impressive. Whether she’s in New York or New Haven, Shen, born in Taiwan, is far from where she started, and equally so from where she began in the fashion trade. Nurturing a now-proven talent for conceptualizing and designing clothes that sophisticated women want to wear, she attended The Fashion Institute of Technology and then hustled to sell her lines, wholesale, to high-end department stores like Saks 5th Avenue, Henri Bendel and Bergdorf Goodman. With the confidence that such a strong list of buyers provided, she opened her first two retail boutiques in 1984. Her lines have done so well in part by “focus[ing] on the fit of each item. It has to fit the body, which should never be too tight or too boxy. It should always be comfortable,” and she says that if an item turns out to be something she wouldn’t wear or doesn’t provide enough function to balance its form, it won’t go out on the sales floor. Taking a page out of the playbooks of Calvin Klein and minimalist master Jil Sander, Shen only designs clothes that she herself would want to wear, which helps her stay attuned to the wants and needs of Shen’s customers, who are usually “on the artistic side of things, so my lines aren’t really typical corporate-kind of clothing. We do a lot of layering, because our customers are very big on traveling and need to have options” for different climes and cultures. That layering can easily occur across collections. Shen is conscious about maintaining a persistent aesthetic; instead of drastic changes from one season to the next, the clothes evolve organically in look and feel from what came before, still managing to push boundaries at each stage. They’re a lot like New Haven, that way.